Our clinic boasts a well-stocked pharmacy which includes all of the frequently used injectable, topical, and oral medications for both pets and livestock. Our special-order service can often have less common medications delivered within 24 hours. 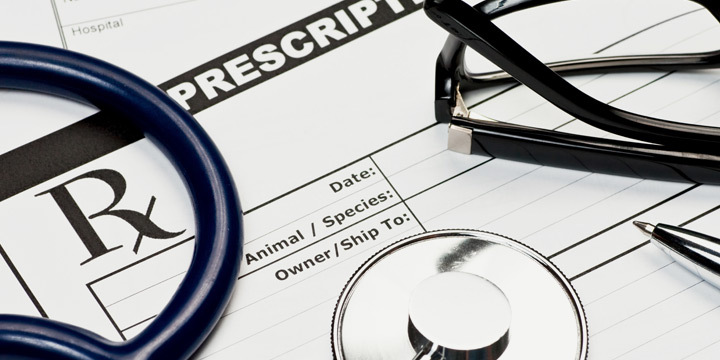 Our veterinarians also work closely with local pharmacists, and in some cases a prescription can be written so that you can purchase the medication from your preferred pharmacy. For those pets who prove difficult to medicate, we can have the medication compounded into liquids and chewables in such flavours as tuna, chicken, and beef. Certain medications can even be compounded into transdermal gels that are absorbed through the skin.